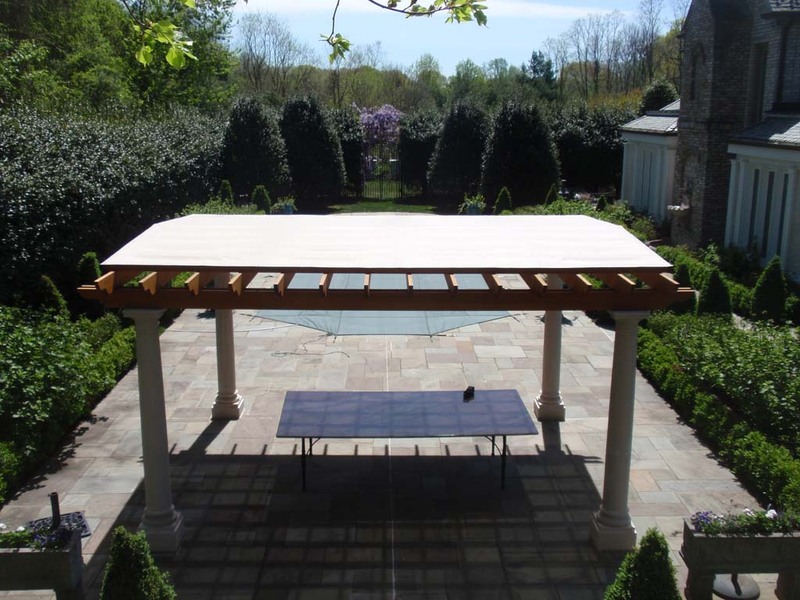 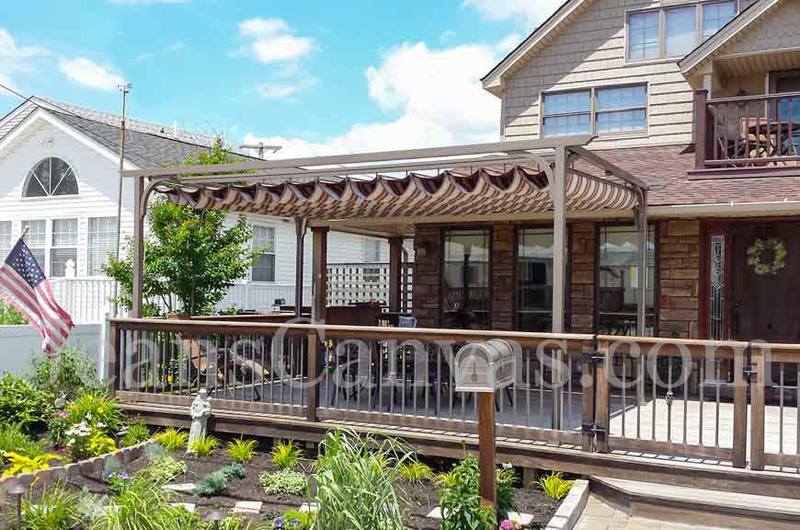 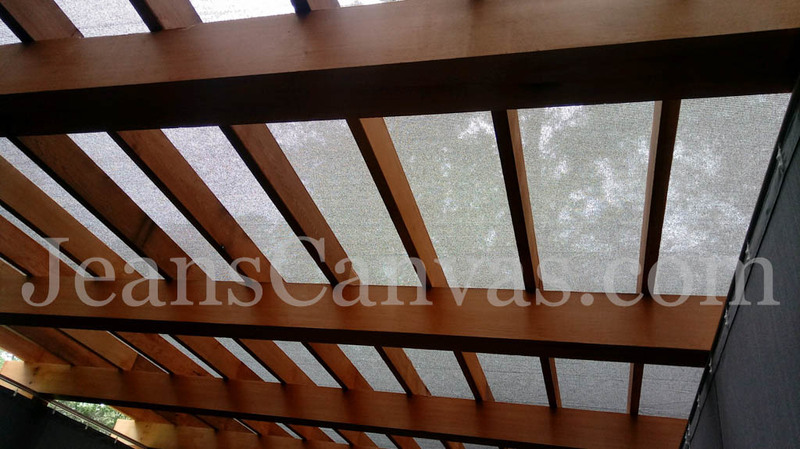 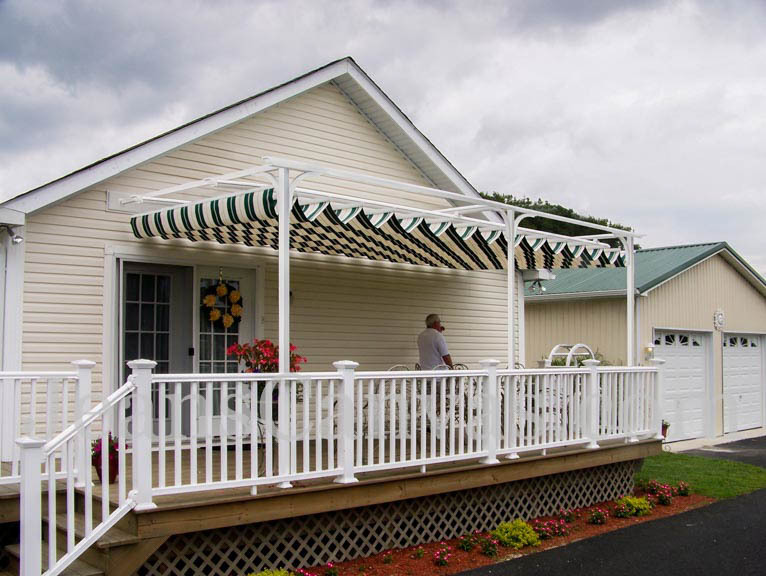 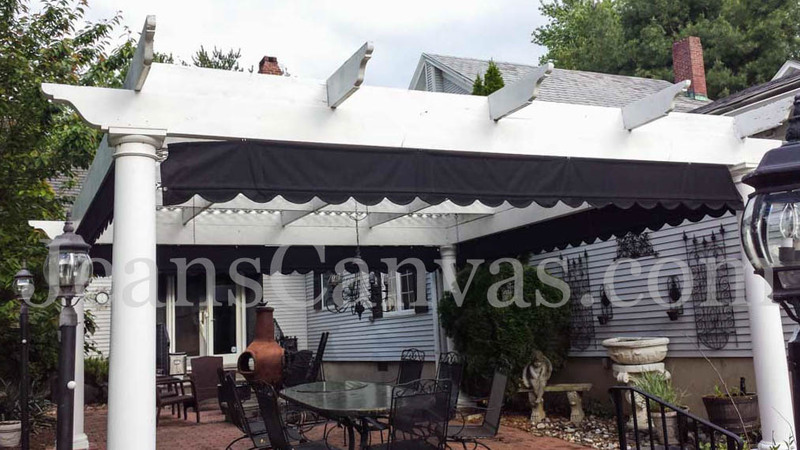 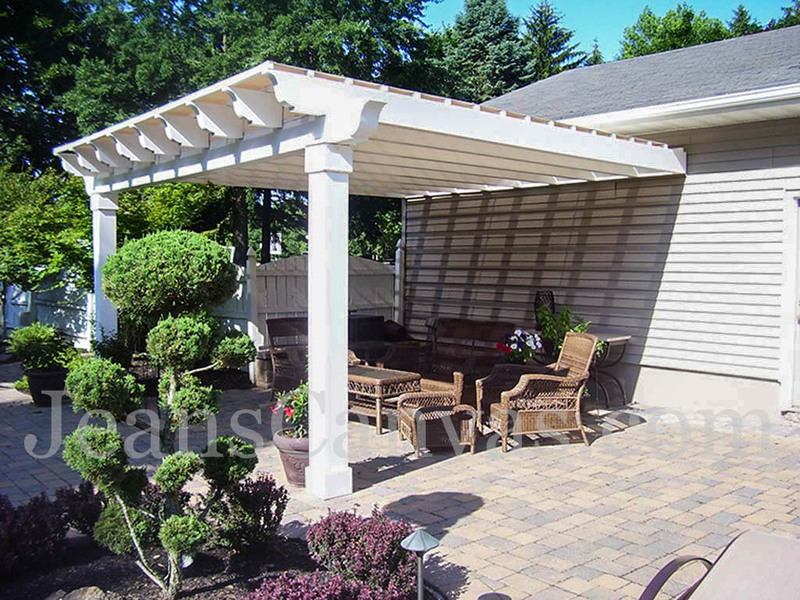 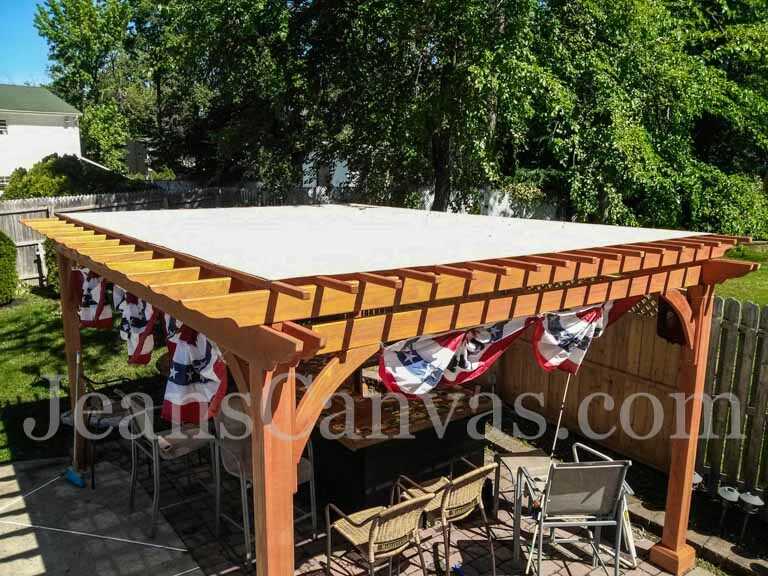 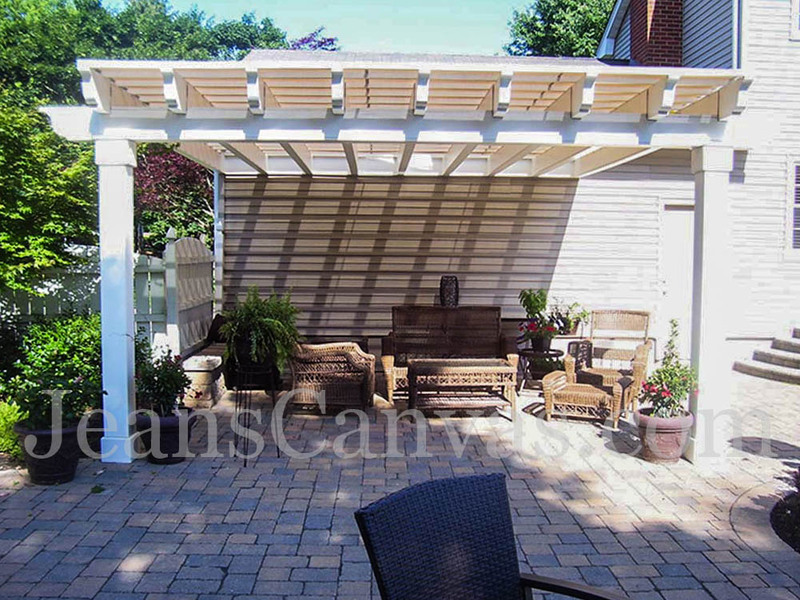 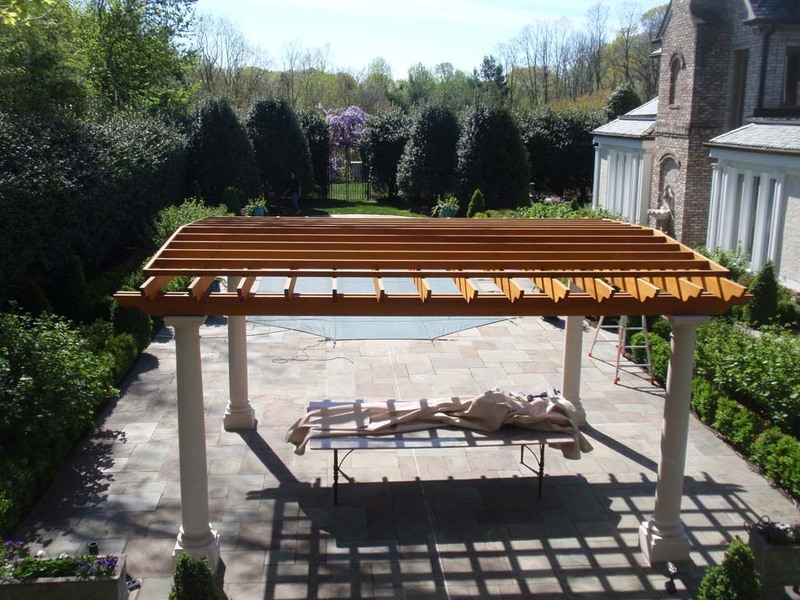 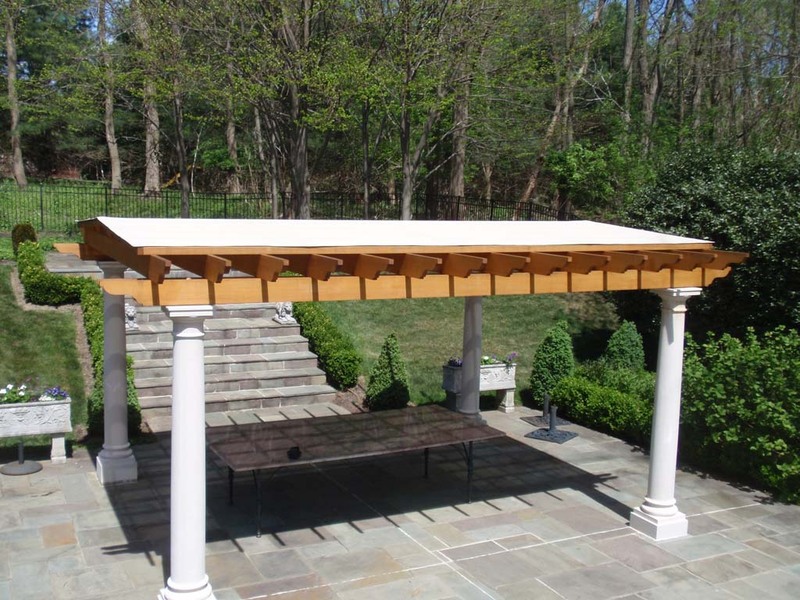 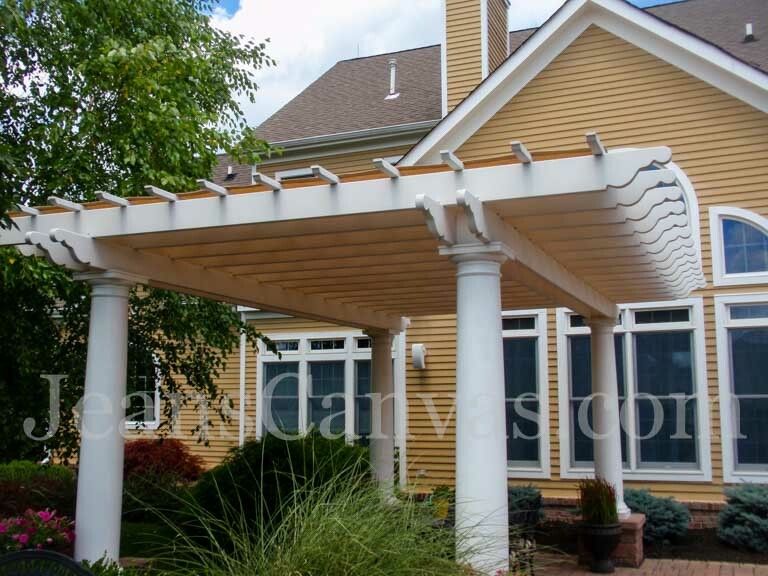 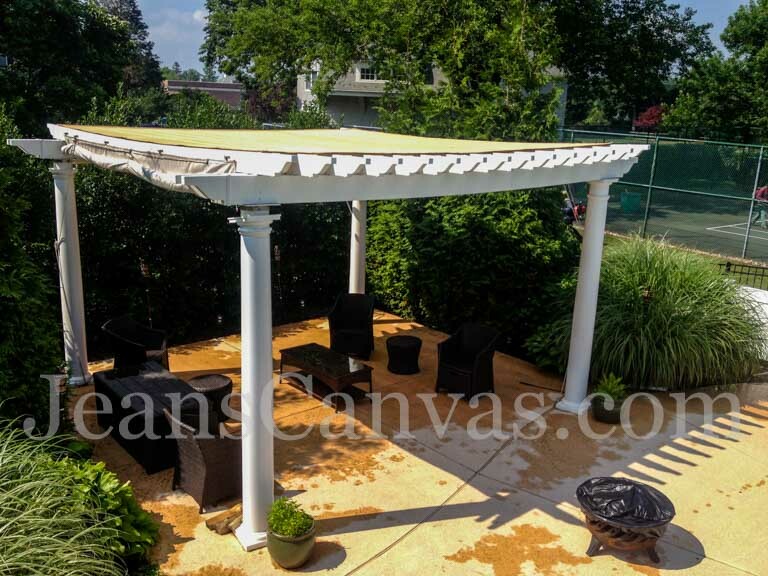 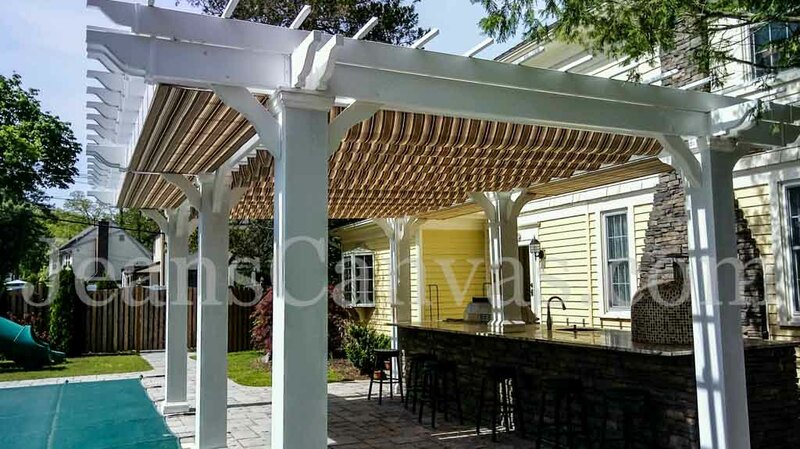 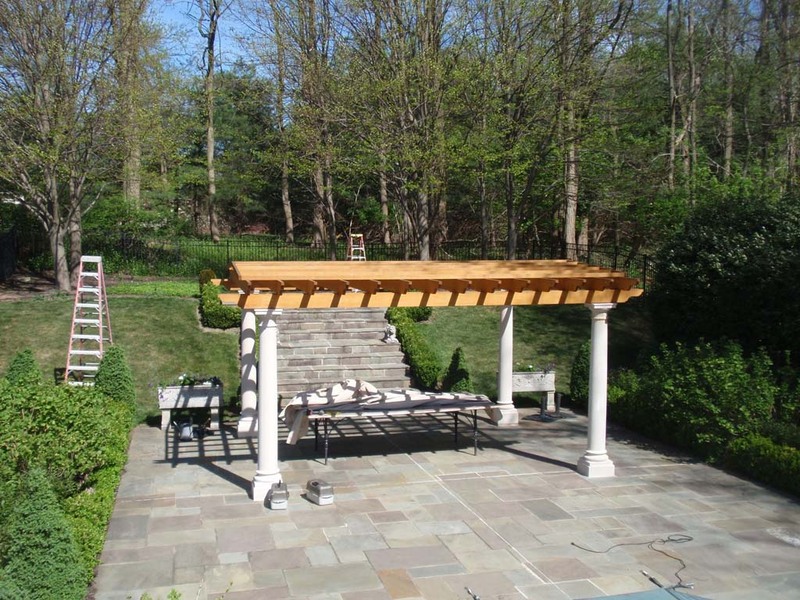 Our custom made pergola covers provide a great deal of shade for an otherwise open structure. 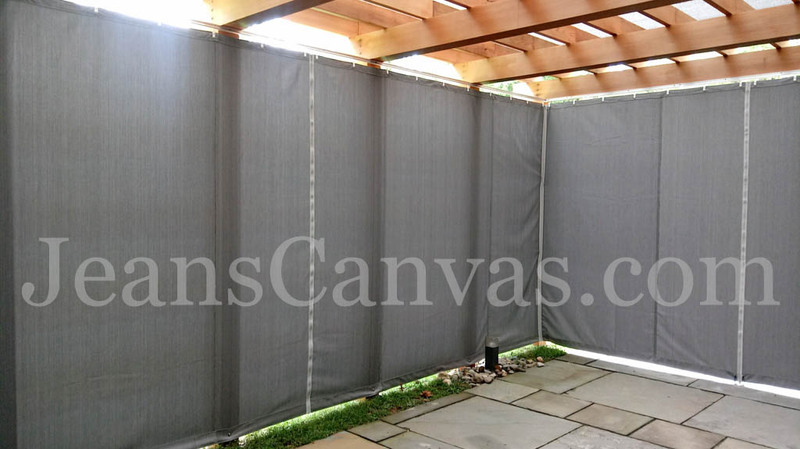 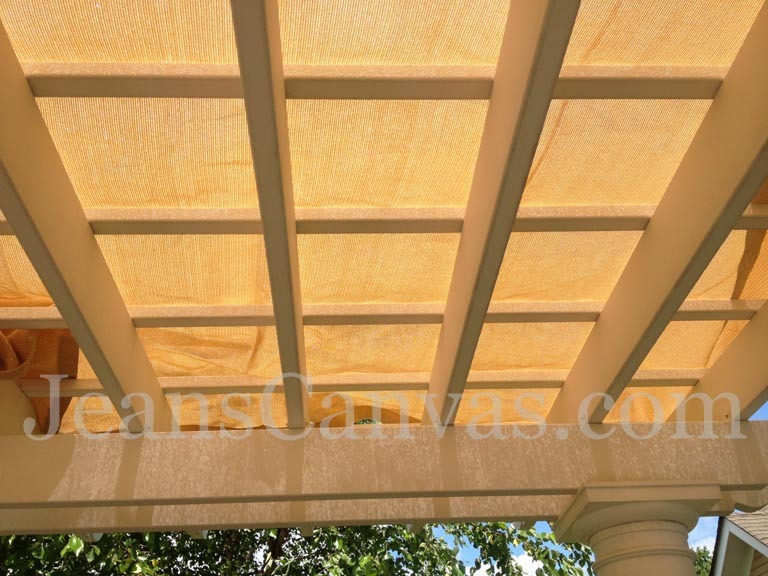 Using a mesh material ensures that you get the ideal amount of shade, while still allowing water to pass through. 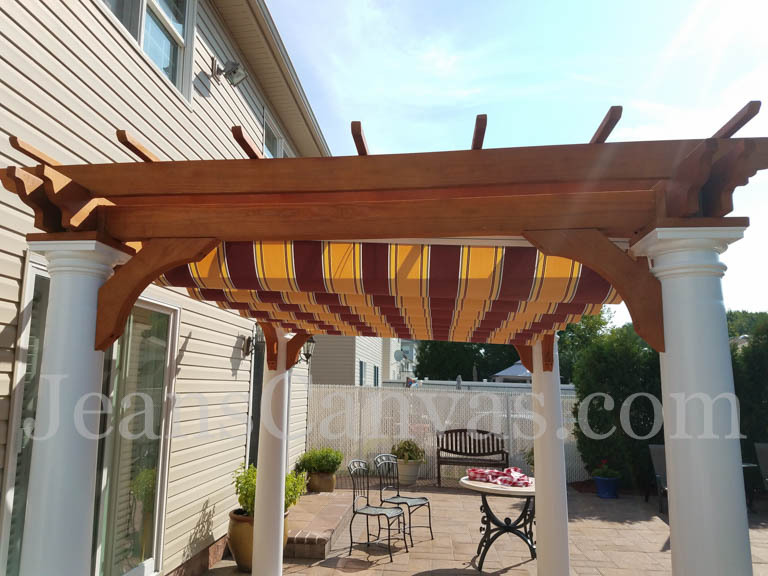 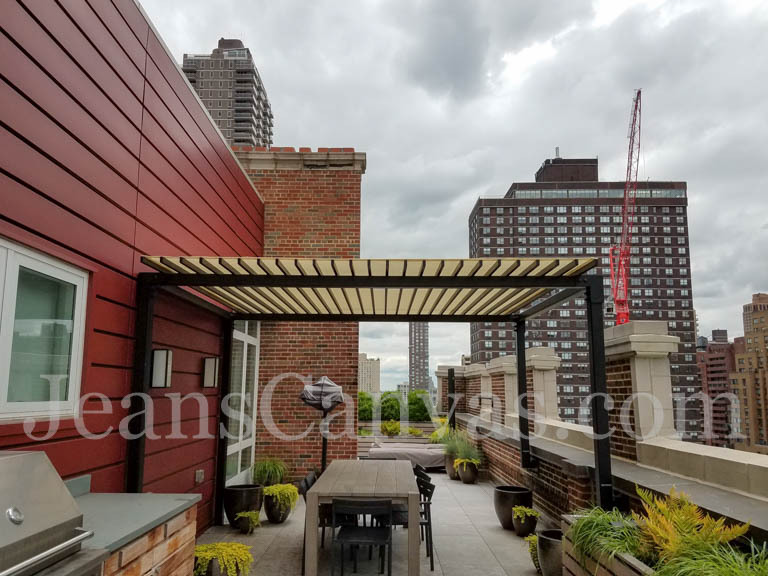 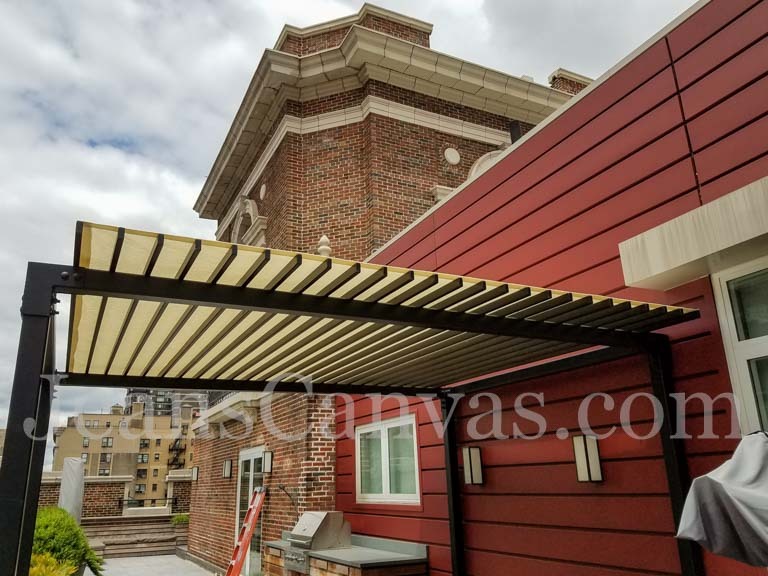 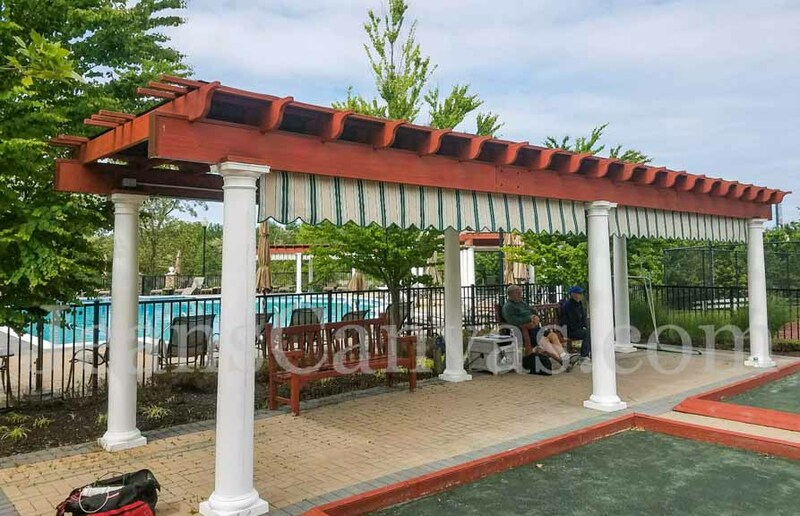 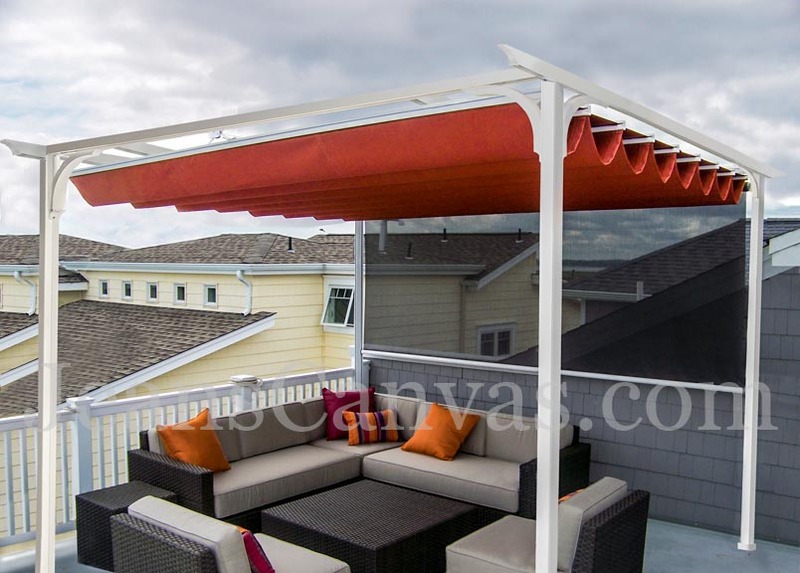 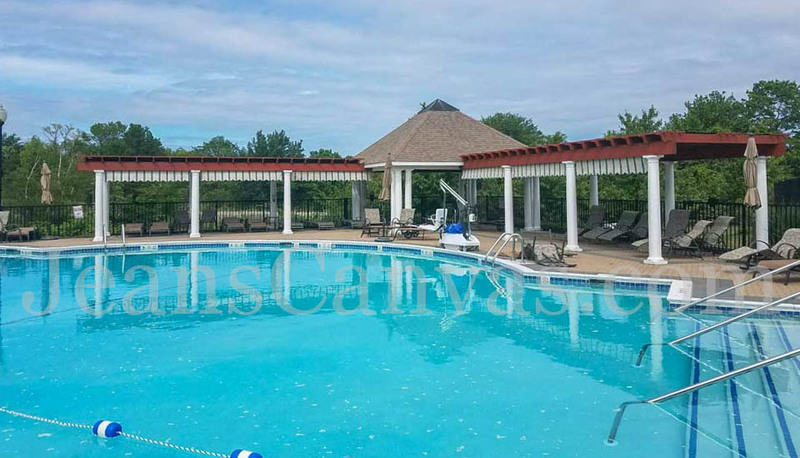 This will extend the life of your pergola cover, and provide you and your family with a comfortable place to sit on even the hottest summer day. 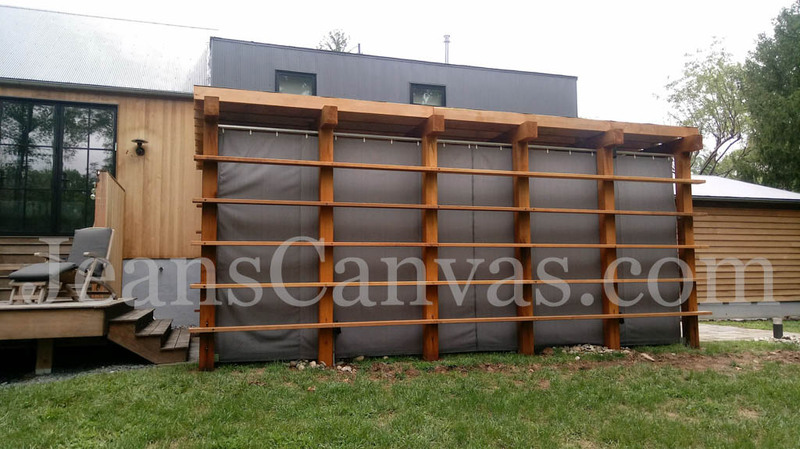 The material we recommend for these covers is called Coolaroo. 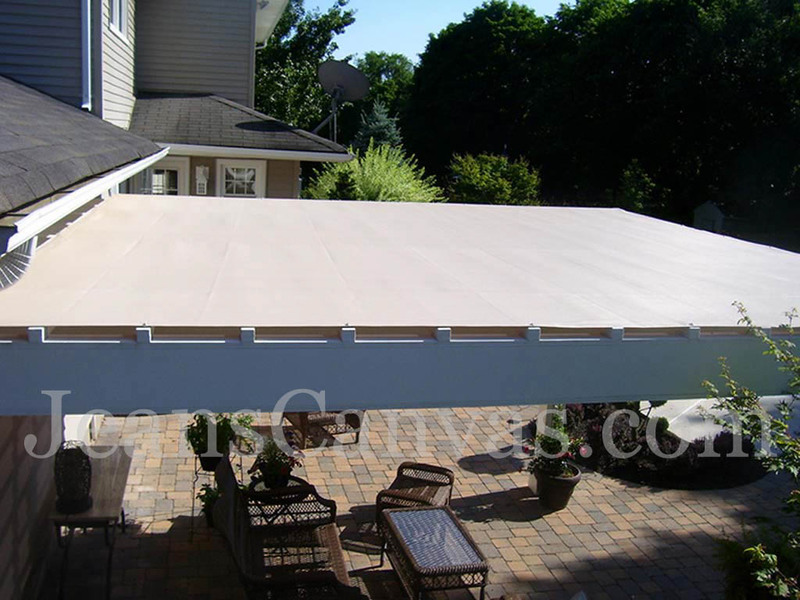 Coolaroo fabric blocks out 98.8% of the Sun's harmful UV rays and comes with a 10 year manufacturer warranty. 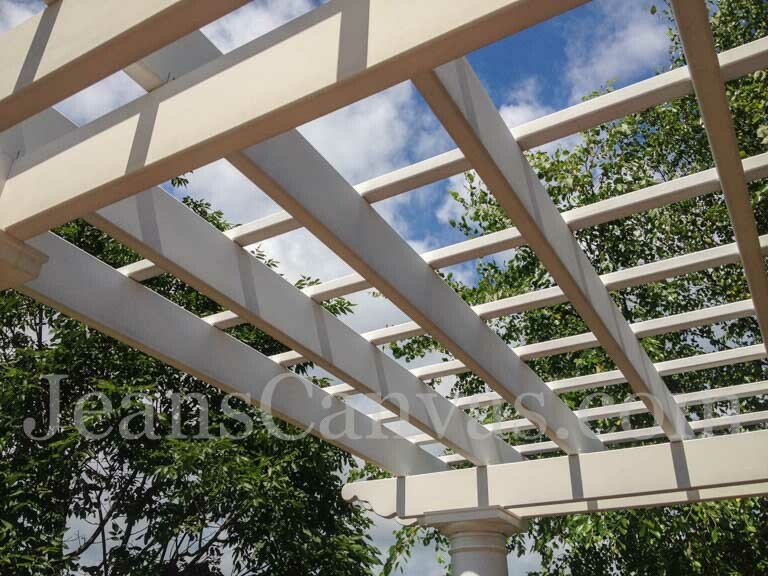 We can use this material to provide you with a custom made cover for your gazebo or trellis as well. 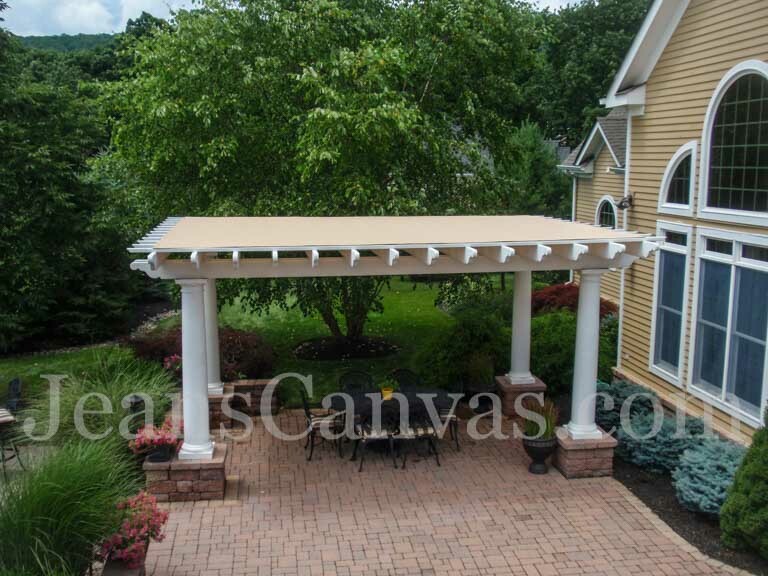 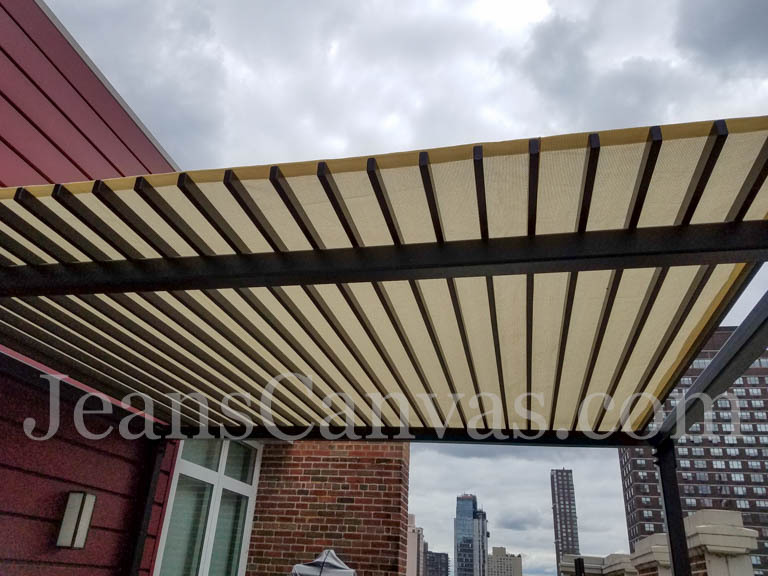 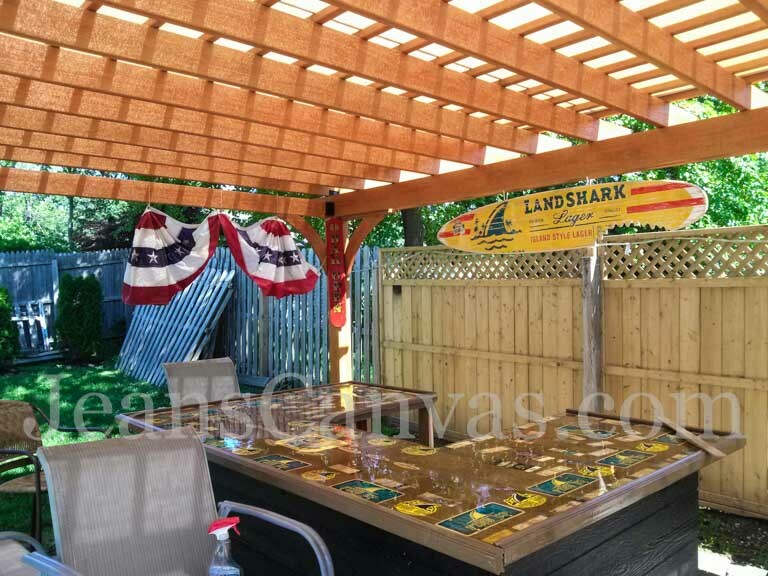 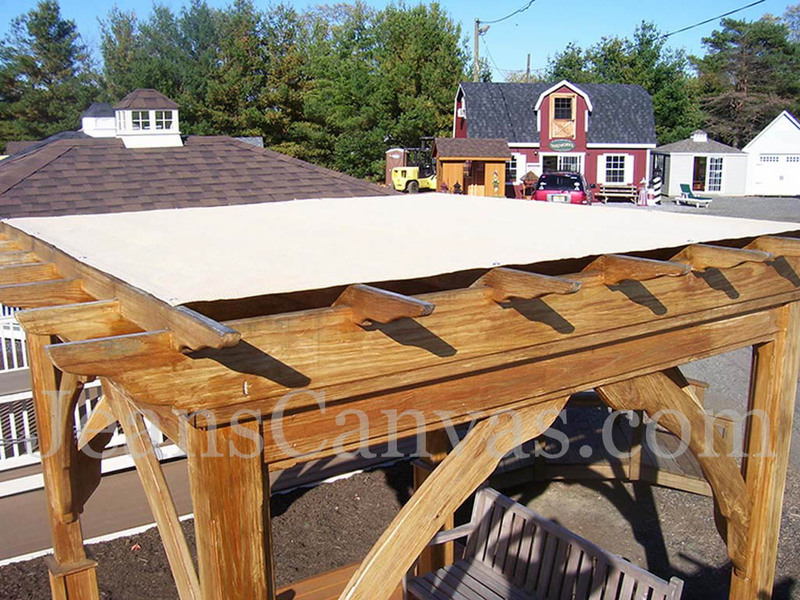 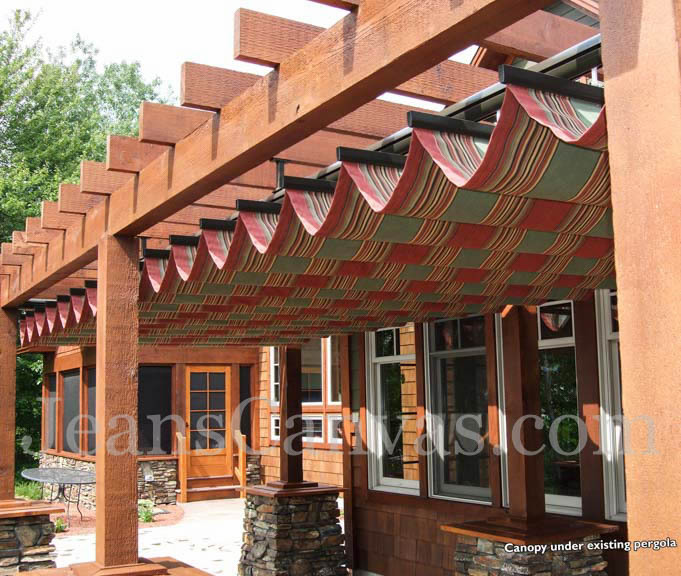 Call today for information on pricing for your custom made pergola cover from Jean's Canvas Products.